Canadian rapper Kardinal Offishall is arguably the best-kept secret in Canadian hip-hop, a genre that is in itself the best-kept secret in hip-hop. The 6’4″ rapper is also known as one of the best producers in Canada, having helped produce albums for other Toronto artists. 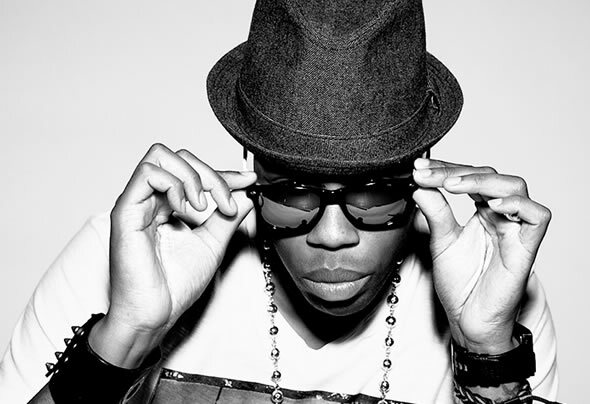 Born Jason Harrow, Kardinal Offishall started rapping early and was winning competitions when he was 12. Signed to a publishing deal with Warner/Chappell Music Canada at the age of 20, Offishall blended soul, dancehall, reggae, hip-hop, and a wholly inventive approach to beats on his 21-track debut album, Eye & I.
Offishall earned a name for his work with other artists, including the Rascalz hit single “Northern Touch,” along with Canadian rappers Choclair, Checkmate, and Thrust. He also produced much of Choclair’s album Ice Cold and played several instruments on the tracks, including the catchy piano hook in Choclair’s hit single, “Let’s Ride.” With the success of Choclair, Kardinal released his 12″ “Husslin’,” which quickly became an underground favorite and showed that the lanky rapper had the potential to reach audiences on both sides of the border. A year later the track landed on the full-length Quest for Fire: Firestarter, Vol. 1 released by the MCA label. His 2005 effort, Fire and Glory, found him on the Virgin label and working with guest stars Vybz Kartel, Estelle, and Busta Rhymes. Three years later he was signed to Akon’s Kon Life label and recorded the hit track “Dangerous” with his new label boss. It would appear on the 2008 album Not 4 Sale.